Think of this as your own custom bracelet set. By combining different energies toward a single focus, you increase the power of your intention. You are creating the energy of your own breakthrough! What crystal bracelet combinations will you choose to enhance your energy? Start by finding a bracelet that aligns with your intention. Then think about what energy will compliment that goal. This reinforces your intention with a spectrum of beneficial energies. Channel more love into your life by combining the Love and Destiny Bracelets. Made with rose quartz, the Love Bracelet infuses the spirit with the kind of joy and compassion that others find irresistible. You can take that loving energy to the next level by pairing it with the Destiny Bracelet. This bracelet will entice your spirit to live at its highest potential, and discover the love it’s destined for. Increase your wealth by combining the Remover of Obstacles Bracelet with the Money Magnet Bracelet. When you’re looking to attract opportunities, you need the Money Magnet. It brings the confidence and willpower you need to invite a flow of abundance. If your prosperity is constantly impeded by challenges, add the Remover of Obstacles Bracelet. It guides you in recognizing new solutions and paths toward success so that you can tackle any obstacles in your way. Boost your sense of security by combining the Protection, Grounding and Digital Detox Bracelets. Use the Protection Bracelet to keep negative influences from invading your spirit. Then double down on your spiritual protection with a Grounding Bracelet. It settles the anxious mind with calming, focused vibrations. Adding the Digital Detox Bracelet will protect your body from the effects of EMFs put out by digital devices. Letting go of your worries is easier when you combine the Stress Free, Intuition and Clarity Bracelets. As the Stress Free Bracelet works to ease anxiety and help you process situations calmly, the Intuition Bracelet encourages you to break the pattern of over-analyzing. Pairing the Clarity Bracelet with these energies will help you to achieve a clear mind and spirit. This is one of the most powerful crystal bracelet combinations for fast stress relief. For those with fitness goals, enhance your strength with the Endurance and Energy Bracelets. If you’re looking for a boost to start your workout strong, wear the Energy Bracelet. Then pair it with the Endurance Bracelet to keep from quitting on your goals! The determination and increased stamina it lends will make sure you stay pumped up all workout long. To be truly healthy, you have to have a healthy mind, body and spirit. If you want to ensure that you are the healthiest you can be, match the Health Bracelet with a Chakra Healing Bracelet. The Health Bracelet reminds you to invest in your physical and mental wellness. And because the spirit is an essence aspect of your overall health, the Chakra Healing Bracelet is a must. It ensures that spiritual energy centers are cleansed and aligned. Strengthen your faith with both the Attract Angels Bracelet and the Divine Connection Bracelet. This combination will inspire you to seek help in energy greater than your own, and to connect with a higher source of power—whatever that is for you. 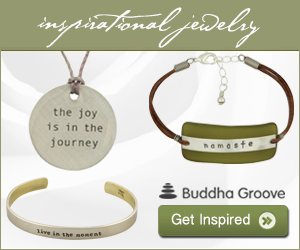 Empower a motivated mindset with the vitality of the Energy Bracelet and the confidence of the I Am Worthy Bracelet. It’s hard to be determined when you don’t have the energy to pursue your goals. The Energy Bracelet will stir up the stamina you need to get motivated. Pair that with the I Am Worthy Bracelet for a reminder to have courage in your convictions and set your aims high. Next Next post: Crystal Gift Guide: Sharing the Gift of Loving Energy for the Holidays!